ProFood Tech 2019 impressively succeeded in establishing itself as the exclusive event for food and beverage processing on the US market. At the second edition from 26.-28.03.19 in Chicago, 414 exhibitors took advantage of the opportunity, which is unique in North America, to present their products and services in this section to the trade audience. Overall about 5,000 trade visitors took part in the event. From the view of the ProFood Tech exhibitors, above all the good quality of the visitors was of central importance for the success of the trade fair: The number of final decision makers in purchasing increased by almost 45 % and the number of visitors with final or significant decision making authority in purchasing rose by about 42 % in comparison to the first edition. Furthermore, ProFood Tech 2019 impressed with its augmented level of internationality: The number of countries the exhibitors originated from increased by 50 % up to 24 and the number of countries the trade visitors came from by 13 % up to 78. This year new exhibitors came from Belgium, Brazil, Bulgaria, France, India, Lithuania, Mexico, Taiwan, Thailand and the Ukraine. In addition, four international joint participations from China, France, India and Taiwan were represented. The exhibitors presented their innovative portfolio in the segments Baking & Snacks, Beverages, Confectionery, Dairy, Fruit & Vegetables, Grain, Mill & Cereal, Ingredients, Meat, Poultry and Seafood, Pet Food and Prepared Foods. The relevance of the event is reflected by the participation of numerous key players such as ABB Inc., Azo Inc., Alpma, Chr. Hansen, Delkor, Galdi Srl, GEA Harpak-Ulma, Huhtamaki, Polypack, Schubert North America, Poul Tarp A/S, Serac, Südpack Verpackungen GmbH, Tavil and Tetra Pak. Alongside the participation of significant companies from the NAFTA area, among others through the presence of the subsidiaries of important European headquarters, the direct applications from Europe also demonstrated the significance of the largest food market in the world for these companies. ProFood Tech is jointly organised by Koelnmesse, the PMMI (Association for Packaging and Processing Technology) and the IDFA (International Association of the Dairy Industry). 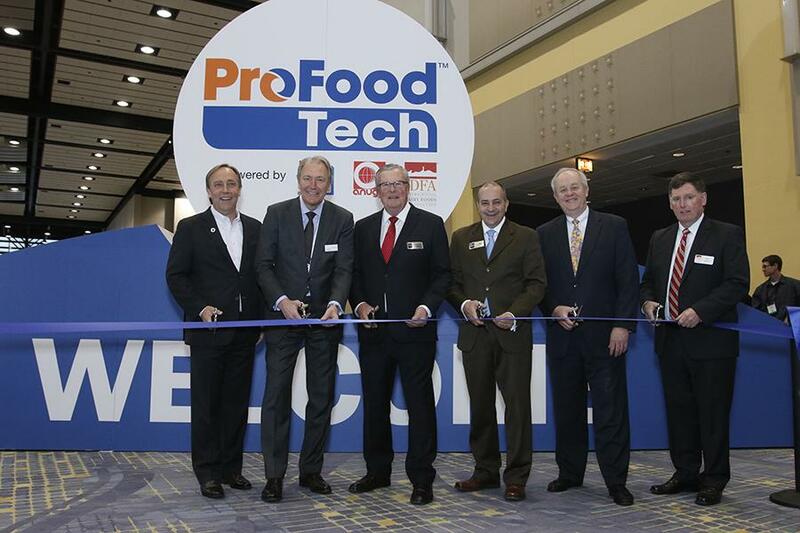 The next ProFood Tech will take place from 23.-25.02.2021 in Chicago.